Canadian superstar Valerie "Trouble" Letourneau made a unique kind of history over the weekend at UFC 206, becoming the first female to compete in three different divisions inside the world-famous Octagon. The 33-year-old competed at strawweight opposite Brazilian prospect Viviane Pereira, just a few months after fighting at flyweight against Joanne "Dr. Knee-vil" Calderwood. In 2014, Letourneau fought Elizabeth Phillips at 135 pounds, in what was her UFC debut. 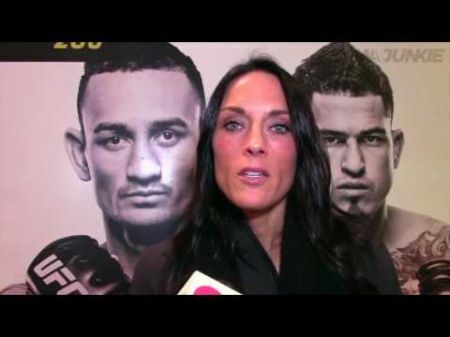 In her six UFC appearances, Letourneau has weighed in all over the place, as heavy as 134.5 and as light as 115. How come the Montreal native keeps changing divisions? Unfortunately, the division she fits best in -- flyweight -- isn't officially offered for females in the UFC. Her 125-pound bout against Calderwood, which went down in June at UFC Fight Night 89, was a rarity, the only time in UFC history that a flyweight agreement for female competitors was made. After suffering three losses in a row, two at strawweight and one at flyweight, where does Letourneau go from here? Hopefully Sean Shelby and the rest of the UFC's matchmaking team will give her another opportunity to fight at flyweight, perhaps against another undersized bantamweight. There are plenty of top-notch female competitors who would love to fight in the UFC at 125 pounds, so finding an opponent wouldn't be difficult at all. Katlyn Chookagian, Roxanne "The Happy Warrior" Modafferi, Andrea "KGB" Lee or Jennifer Maia would all be great possibilities for Letourneau, if Shelby gives her another chance at flyweight. Time will tell how the situation pans out. Not many fighters are able to stay on the UFC's roster after three-straight defeats. But if there's anyone who deserves the opportunity, it's Letourneau.